"" The great 40P and 40J EMG pickups have simply built a strong bridge between my music and my fans.There is no doubt that they could help me to express myself clearer than ever ! "" Starting playing the bass at the age of 21 was kind of a blessing for him as the self taught musician started to explore the instrument and finding his own way of playing and expressing his musical ideas and life experiences that he already had! And by travelling the world as he performed more than 5000 concerts, Tv shows and workshops in more than 25 countries and currently living between Turkey and the U.K, Ahmad's diversified musical ideas were pied with more different colors and flavors. Ahmad has his own projects such as: Ahmad Hani acoustic trio and Ahmad Hani jazz quartet. 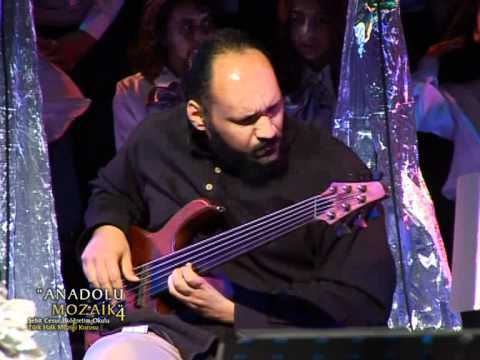 However Ahmad played with many great musicians in very important projects such as: Burhan Ocal and the Istanbul Oriental Ensemble, Eugenio Bennato and Taranta Power, Grammy award winner Fathy Salama and Sharkiat and many others. Also Ahmad is an educator and a bass teacher. He has been teaching since the year 2000 in many countries through workshops, lectures and private lessons. And as he is well known of playing almost all genres and styles of music from rock and heavy metal to Jazz and blues to pop and reggae to funk and soul, he is also famous of his own unique style of treating and reforming traditional music especially from the middle east, north Africa and west of Asia and mixing it with other kinds of music that he has been experiencing all those years of performing and teaching.